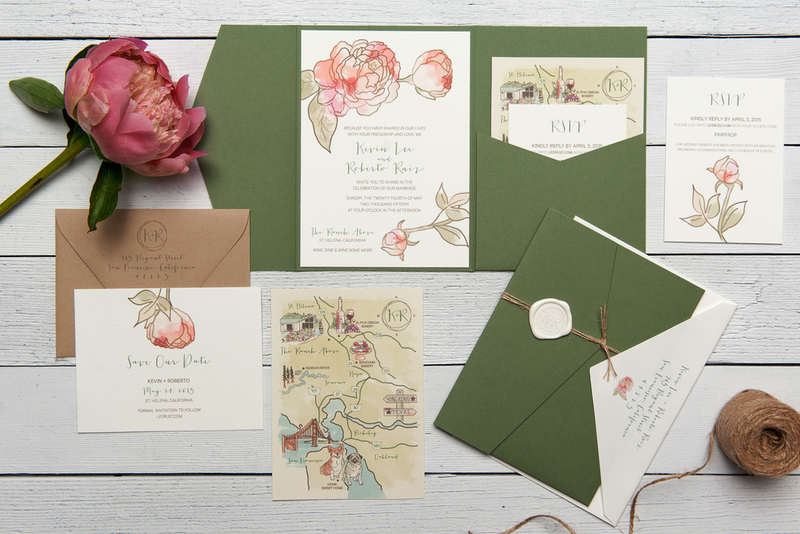 Hand-drawn peonies embellish this romantic invitation in shades of blush, coral and peony pink set against olive green and natural tans. 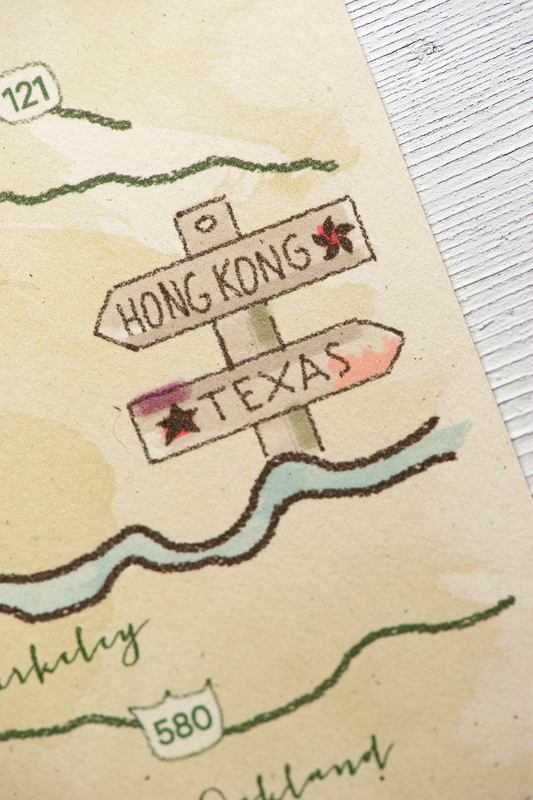 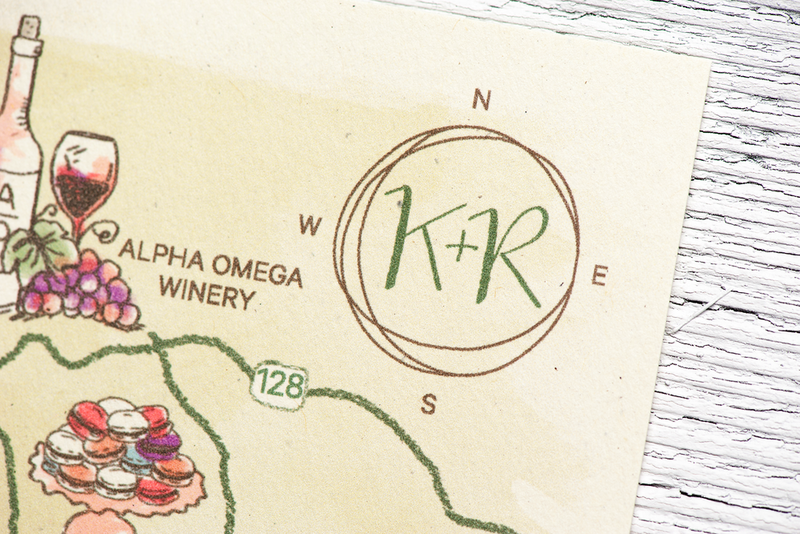 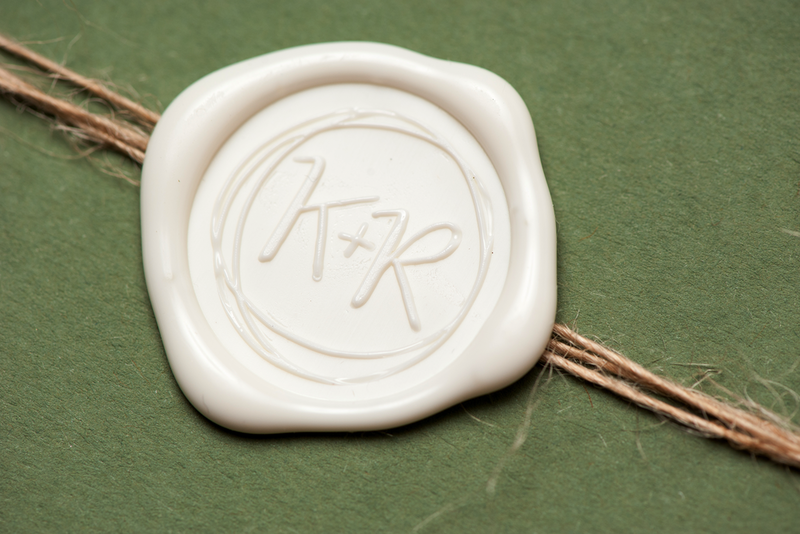 This couple's flat printed invitation suite included a Pocketfolder wrapped in twine, a Custom Map with personalized landmarks and a cream Wax Seal with their wedding Monogram. 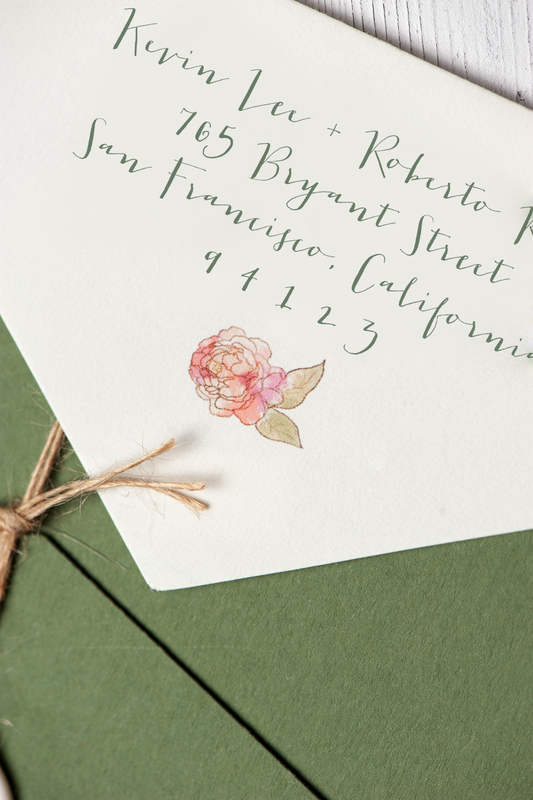 A coordinating Save the Date took a more casual take on the overall theme with a peony bud and teaser text.